Marwadi University, in collaboration with NSE ACADEMY LIMITED (Subsidiary of NSE India) is offering BBA (Financial Markets). BBA (Financial Markets) is a 3- year undergraduate program spread across in six semesters each semester will be consisting subjects each with 48 hours of classroom interactions. A typical week will be of FIVE working days and of 30 hours, including classroom teaching and library sessions. This Program is a gateway to a career in the field of Financial Market, offering positions into various lucrative finance profiles. Students enrolled in BBA (Financial Markets) program get 8 NCFM certificates along with a 3-year bachelor’s degree in BBA (Financial Markets). Students are also trained to work on NLT software of NSE which is used in the financial market and thus students develop real life market skills. Marwadi University is the pioneer in launching BBA (Financial Markets) program in Saurashtra. Candidates, who have passed the two year Higher Secondary Certificate Examination of the Gujarat State or any other examination recognized as equivalent thereto with at least 60% marks or equivalent CGPA, shall be eligible for admission to this degree program. 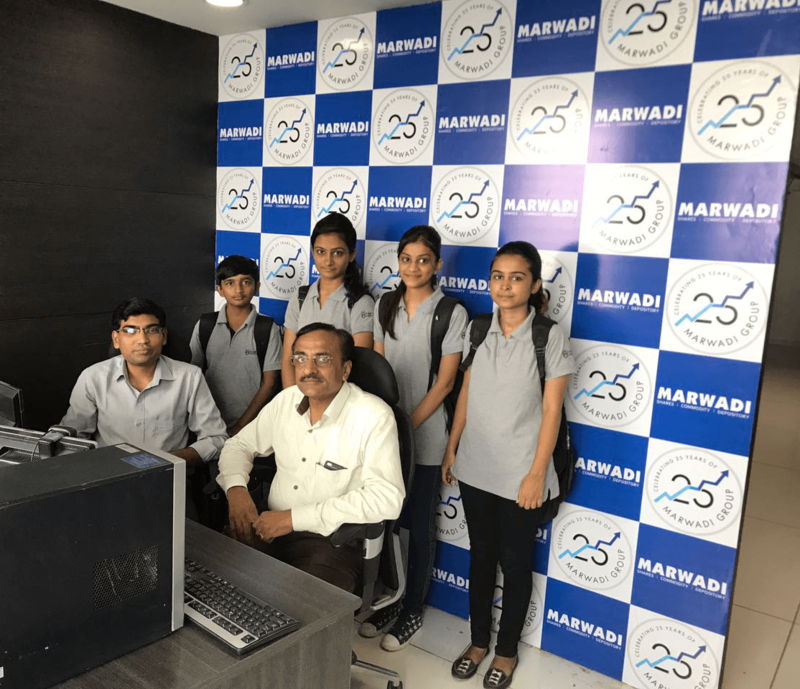 Students of BBA (Financial Markets) Semester – I Visited Marwadi Shares & Financial Ltd. Rajkot, for 3 days training on IPO Process.